I’m at my sister’s house for the week, some hundreds of miles away from the cool, dry breezes of Colorado. Here, it’s like going from a refrigerator to a sauna when you leave the house. My body is very confused. I brought nothing from my box o’ tricks when I came, thinking blog posts would magically appear while I was here. So I went through my sister’s kitchen this morning, and found 10 things that she could put on her face, RIGHT NOW, that would either moisturize, cleanse, or exfoliate. 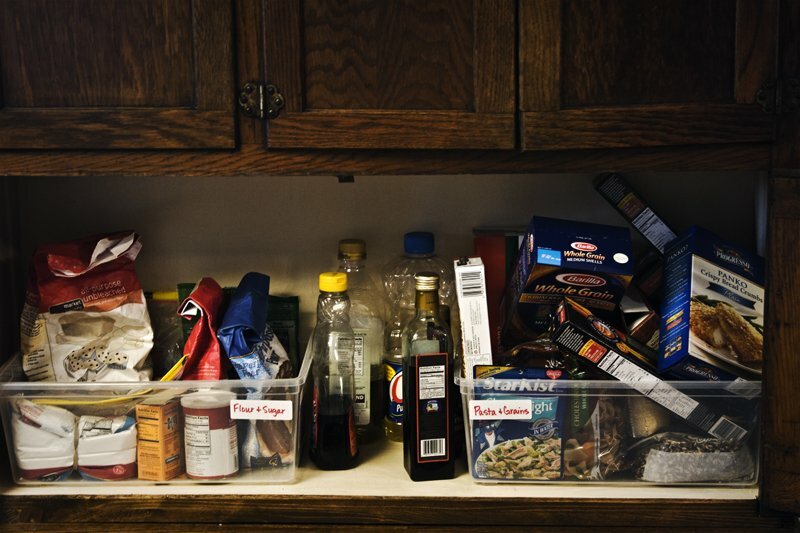 I bet her kitchen’s pretty typical, so you probably have these things, too. As of this moment, you have no excuses. FOYF. Now. Don’t forget to SUBMIT YOUR PICTURES HERE. Strawberries. We covered this recently, so go here if you need a refresher. You can put strawberries directly on your face by mushing them into a mask, or by just rubbing them over your skin. They’ll combat oil, work as an antioxidant, and brighten your face. Lest we not forget, they also whiten your teeth. Eggs. You can use the whole egg, or you can just use an egg white. The whole egg will offer a little more moisturizing, and the egg white alone will firm your skin and tighten pores. Just rub it over a clean face, let it dry, and you have a simple, easy egg-white facial mask. Tres chick. Get it? Baking Soda. One of my all time favorites, baking soda is the cheapest, most effective microdermabrasion ever. Start with a freshly washed face, and lightly scrub it with a paste of baking soda and distilled water for about 10 minutes. For more details, you can read here (but I must warn you, this was back when I waxed all poetic in a whiny, annoying way). My sister's probably going to kill me for showing the insides of her kitchen. Lemon juice. This is a fantastic addition to just about any mask. Talk about brightening! Lemon juice tightens up pores, cuts through oil (just like with dishes), and squeaky cleans your face to a nice, bright shine. You can put it directly on your face (wash off within 5 minutes, so you don’t over-lemon yourself) or add it to an egg-white mask (sort of like here). Honey. 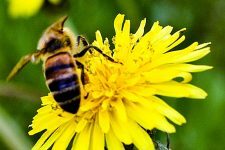 Honey is a little like lemon, in that it can go in just about any facial mask or scrub you make. It’s moisturizing, antibacterial, and it really helps control icky breakouts. Slather it on and leave it as long as you want. Can’t really overdose on honey. If you want to know more, read all about it in this post here. Bananas. 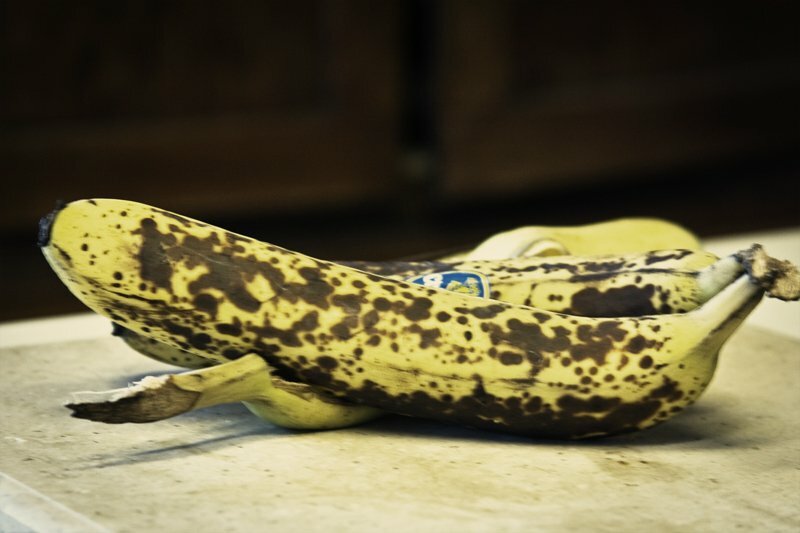 You may have noticed the old, spotty bananas at the beginning of the post. Good eye. They were what prompted this post in the first place. I don’t know how many times I’ve watched one banana get browner and browner instead of putting it on my face. Silly. The bananas shown above are the perfect amount of brown for a face mask. Bananas exfoliate like crazy and give new life to a dull complexion. They also moisturize, and are great for all types of skin. Mush it up (add a little honey if you’d like) and rub it on your face. Leave on for 10 minutes. Rinse. Love it. It's sort of like Where's Waldo, but not really. Oats. Grind ’em up into a fine powder, and they make, all by their lonesomes, a really great moisturizing scrub with a little water. Or add some milk and turn them into a very luxurious way to soothe dry or sunburned skin. Oats are a staple in many a scrub and mask, so turn a bunch into powder with your food processor and be ready for future recipes. Yogurt. 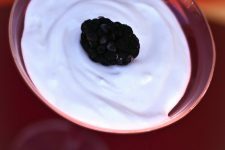 The lactic acid in yogurt leaves your skin fresh and exfoliated. Yogurt brightens your face (a lot, so don’t leave on too much, unless you really want some lightening). And yogurt moisturizes. This was yet another FOYF highlight a couple of weeks ago, so go read here for the total low down. And don’t forget to put it in your hair, for fantastic crunchy conditioning! Almonds. Yep. Almonds. Lest you get ideas of super gluing them to your face in funny patterns, let me just tell you right now – you grind them up, too. Toss ’em in the food processor and turn them into a powder. Use them as a facial scrub. They moisturize, exfoliate, and cleanse. Just like ground oats, I keep a jar full of ground almonds for all sorts of recipes. Olive Oil. This may be last, but it is FAR from least. Olive oil is a centuries-old beauty staple for crunchy betties throughout history. Moisturize your face with it, condition your hair with it, or add some salt to it to make the easiest hand scrub ever. A good rule of thumb when buying olive oils (or any oils, really): Go for extra virgin, expeller pressed, and organic when you can. They’re going to be higher in antioxidants, contain less chemicals, and aren’t as “messed with” as the other more processed kinds. And there you have it: A quick and easy list of foods you can put on your face as you surf the web, clean the house, or practice for your Oscar speech (I like to imagine that you’re all world-class actresses with Dolce dresses and hair extensions). Can you think of any I missed? In love and top 10 crunch! 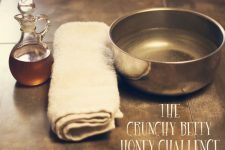 Wash Your Face With Honey: Take the Crunchy Betty Honey Challenge! Having the photos of your sister’s kitchen really made this post for me! And the idea of using what you have. Haha. 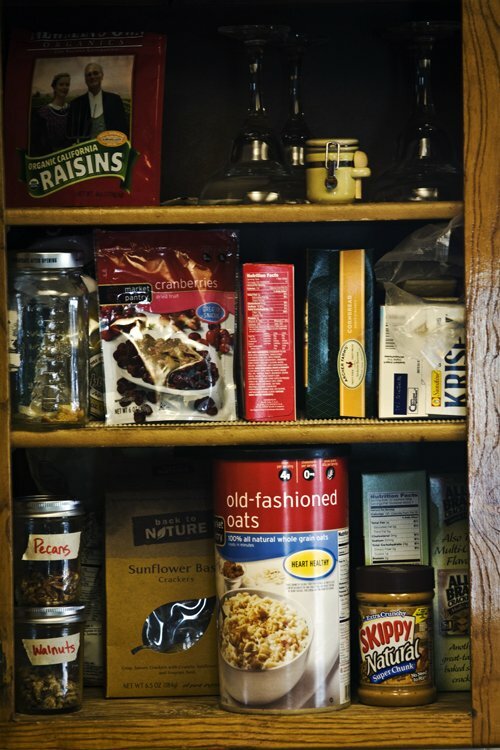 Well, I don’t know how many times today, she said, “I can’t believe my pantry’s there for everyone to see.” So I’m glad you had fun with it. I might be paying for it for years. Heh. Yay! Don’t forget to blog about putting food on your face (in the form of a homemade facial mask) and send me a pic. I’ll put it in the gallery and you’ll be famous FOREVER. With food on your face. Ha. Great post! I love and use many of those on my face all the time. I especially love to use honey and yogurt – nothing feels better than an honey-yogurt mask! Nice to “see” you, too. I think we have a lot in common. I’ll be making my face known around your parts. Can’t wait to read more soon! I would love to have a good exfoliant because wearing glasses, I know I get more oils and yuck on and around my nose. We always have bananas, so I’m going to try it. I’m sure Kate will get a kick out of it! Don’t know if you caught my little tip a while back, but just a swipe with some lettuce that you bruise is a great way to quickly get rid of the oil and whatnot. Works like a charm, and was probably the “tip” that surprised me the most when I found it a few years ago. I’m so excited to hear how it goes! I got so excited when I read “gluten free,” because my friend Turu owns a gluten-free creperie. But then I realized the likelihood that you’re within driving distance of Manitou Springs is nil. But if you’re ever out that way, go to Coquette! And that’s exactly what got me into this – getting tired of reading the back of my store-bought stuff and not being able to pronounce 3/4 of the ingredients. Let me know what you think if you try some! Definitely learned some things from this post! Stopping by from SITS and 31DBBB! Great! Come back often. I do fun stuff. And I heart SITS girlies! 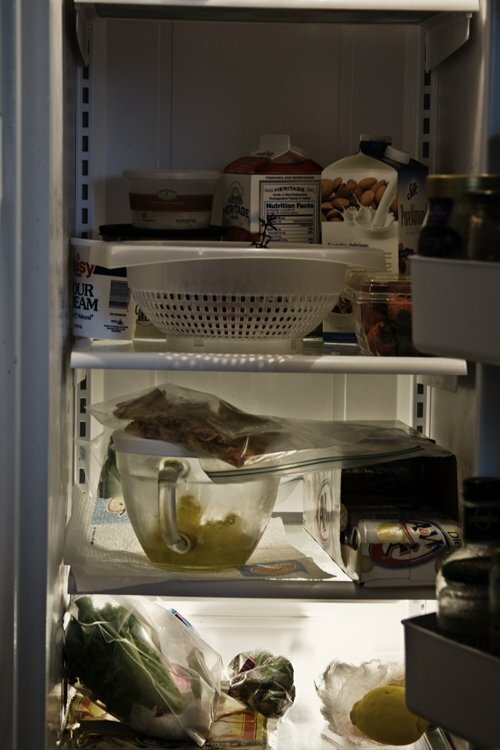 What does it say about me when I admit that I only have one of the items in my kitchen – yogurt. I love that you admitted it! I’d like to know what you DO have in your kitchen, to see if I can come up with any way you could put any of it on your face. It’s fast becoming an obsession. 7 out of 10… you’re right, I’ve got no excuse not to! Excellent! What an informative post! Thank you. We always have overripe bananas in the hammock. Now I know what to do with them. I should not be allowed to respond to comments after 10:00. My mind goes to silly, silly places. Wow, great article. I make my own cleaning products for the house, but i’ve never tried making them for myself. I’m definitely going to give a few of these a try. When i was reading through, I remembered that I used to use lemon on my fingernails when i was a teenager. Put your nails in half a lemon and let stand for a few minutes… A great way to clean and brighten nails. I totally forgot about it. Glad i found your blog, it’s right up my alley. Thanks for joining blogflow. Yay! I’m so happy for blogflow, and can’t wait to do more with it when I’m home and have time. Thanks for visiting, and put food on your face yeah? Blog it. I will link it. It will be love. I love your list, especially because now I can stop throwing my brown bananas into the freezer with the intention of making banana bread out of it. I have only about 312 brown bananas in the freezer now. Shoot. I remember when I added all eight bajillion people from #31DBBB on Twitter and saw your name and cracked up and couldn’t wait to go to your blog and then my nephew spilled his water on me and then I forgot. Now I can’t wait again! Anyone whose blog is named Grandma’s Briefs is at the top of my reader immediately. So that means … you’re totally going to get sick of me commenting. Also, you should send me banana bread. As many loaves as 312 bananas make. I just loved this post because it reminds me of when I was a teenager and my mom taught me all these crunchy tricks, with the exception of the olive oil. I grew up in the midwest and we used Crisco as makeup remover. Yikes! Anyway, I am going to pull out the brown banana, throw in a little oatmeal, almonds and honey and show my kids how to exfoliate the crunchy way. You are too cute and I am adicted to this blog. I had it on my list tonight to figure out what to do w/ 5 egg whites from making mayo since I’m almost out of coconut and can’t make macaroons. Put one on my face. That couldn’t be simpler! Yes! I’ve actually seen a video of Michelle Phan on Youtube use eggs as a mask on her face. I think in the same video she also used seaweed from her suishi on her face as well. lol Hilarious!